Fantastic news for all sound designers! During Black Friday and Cyber Monday (from the 20th to the 27th of November), you can purchase all Tsugi products at 50% off! 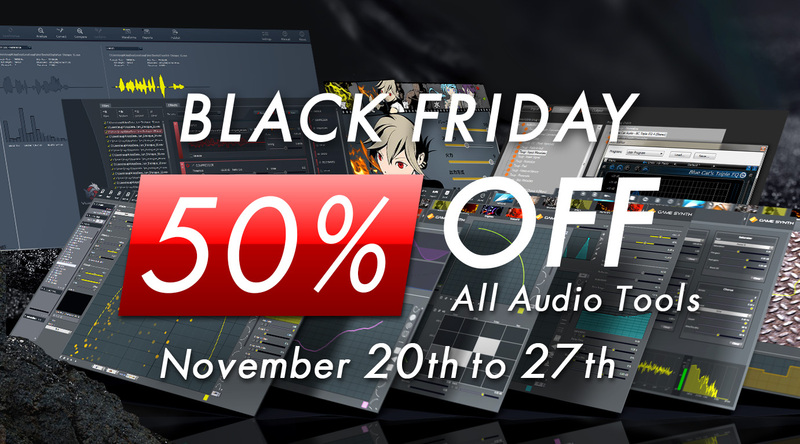 Don’t miss this opportunity to get some of the most innovative and productive audio tools aimed at the game and movie industries! 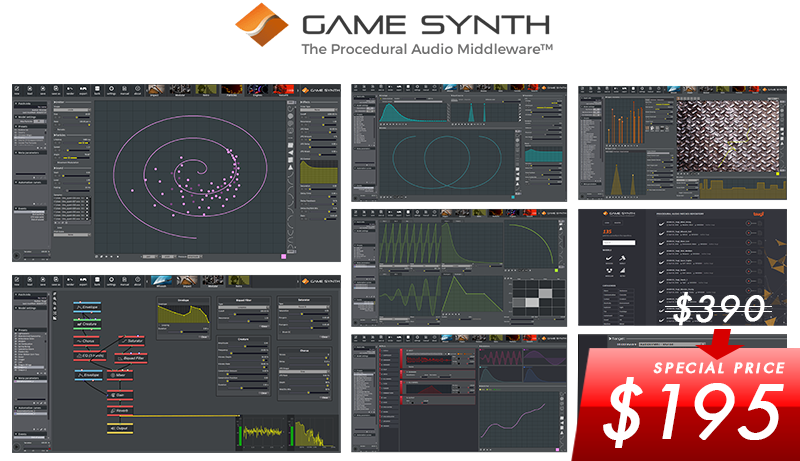 All this with an incredible GUI and many features specifically aimed at game audio such as the automatic generation of sound variations and the export to game (audio) middleware like Wwise, FMOD, ADX2 and Unity! Alto Studio is the standard solution used across the game industry to analyze, correct and process audio dialogue. Alto Studio also interfaces with AudioBot, FinalDraft, FaceFX, Excel, Wwise and more! With Alto Studio, ensure that your audio dialogue is perfect while saving a lot of time. Creating sound effects has never been so easy! With DSP Anime and DSP Retro, choose a category (magic, fight, elements, emotions, moves, weapons etc..), select a type of sound, adjust the parameters and press play! The wave files that are generated can be used in any project, free or commercial!